With the S.S. Katherine Heigl taking on water at a terrifying pace, the actress has reached out for a lead life jacket. 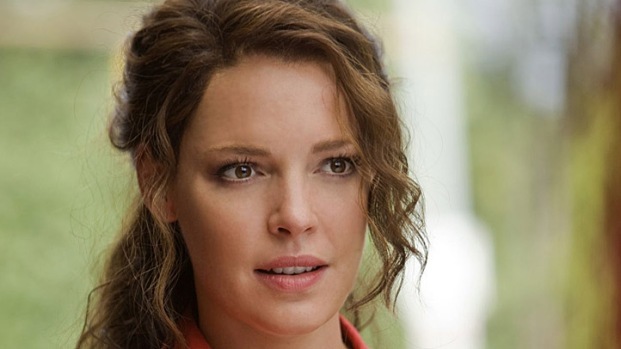 Heigl will star in "Face Blind," as a shrink with a rare condition that renders her unable to recognize people, and finds herself the target of a stalker that she of course can't recognize, reported Deadline. The actress will also serve as producer, along with Trudie "Mrs. Sting" Styler and Celine Rattray of Maven Pictures. If you're suffering from plot blindness, and can't quite place this one, Milla Jovovich starred in the 2011 thriller "Faces in the Crowd," as a woman with face blindness who escapes the clutches of a serial killer, but is helpless to recognize him when he comes back to finish the job. It opened Oct. 7 in Turkey, but never made it stateside. It's not a pretty picture, is it? And that second up-tick doesn't really count, cuz "New Year's Eve" wasn't a "Katherine Heigl movie." Ever since Shonda Rhimes and Judd Apatow helped make her hugely famous, her career's been in free fall--maybe she should reconsider all the nasty things she said about them. Katherine Heigl on Her Jersey Girl Role in "One For The Money"
Katherine Heigl chats about starring in her new movie, "One for the Money." Is she a fan of the book series the movie is based on? Plus, what was it like executive producing the movie with her mother?